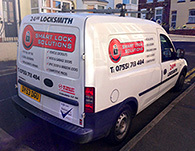 We are qualified, reliable, professional and friendly locksmiths, available 24 hours a day, 7 days a week! Our coverage is mainly the Yeovil area and its surrounding towns and villages - including Sherborne, Crewkerne, Castle Cary, Bruton, Wincanton, Cerne Abbas - but we have also carried out many jobs throughout Somerset. So, whatever locksmithing problem you have - home or business - you can rely on us to get to you quickly and solve that problem for you! We cover the whole of Yeovil, the ancient country town of Somerset, and also the many villages and towns around Yeovil. My aim is to be at your home or business in the Yeovil area within 30 minutes! We can deal with all domestic or commercial lockouts. Lost your car or van key? Vehicle entry is one of our specialities! Home and business security - extra security or security upgrades. We also install security systems for UPVC doors and windows. We can cut all types of key. We can also deal with all your master key system requirements. I am a completely independent locksmith, always on call 24 hours a day and 7 days a week, plus I NEVER charge call out fees to any of my customers. When you call us, you will be speaking to me directly - no call centres with people who don't know what they're talking about! Plus, as a fully registered independent locksmith, I'm NOT part of a franchise or national company - with no middleman involved, I can keep my prices to you at a minimum. And I hold the highest qualification that can be attained for locksmithing in the UK. So, if you're having problems at all with your locks, find yourself locked out of your home, business or vehicle, or need help or advice with anything to do with locks or security, just give me a call! I always try non-destructive entry methods first - if I have to use ay type of 'destructive' method I will always discuss it first with you, and damage will only be to the lock itself. So if you need a fully qualified Yeovil locksmith with great levels of service at reasonable rates, ring The Yeovil Locksmith now on 07551 713484 or 01935 804972. You can read some testimonials from satisfied customers near you in the column on the right. 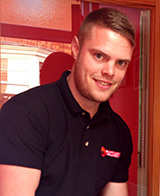 Click here if you'd like to read more about me and how I can help you! or click here if you'd like to read more testimonials from my many satisfied customers! I was locked out of my house so I called the Yeovil Locksmith - he was with me after 20 minutes of speaking to him on the phone and got me in to my home within seconds. Fast reliable service. Highly recommended. My garage lock is very old and was not working anymore, I called James and he came and fitted me some new garage security. Not only did it make the garage look more secure it also locked like a very professional job was done. I would definitely recommend this locksmith. My key snapped in my lock, I called James he got me in very quickly and replaced my lock. Very good service. We just moved house and wanted our locks changed as we didn't know who had keys. James changed all our locks , and also fit a new lock on the front door. His prices were very reasonable and we were very happy with his work. Nice lad and very professional. I wanted a new intruder alarm installed in my home I called the Yeovil Locksmith and they came out and gave me a free survey and quote. they fit me an alarm system. Very neat job. Excellent workmanship, I highly recommend this company. I was locked out of my house late one evening. James arrived within 15 minutes and got us in without causing any damage. Very reasonable. Made the situation a lot less stressful. We moved house and found that some of our UPVC windows did not open also a few of the windows were all misted up inside. We got James around to have a look, he got all out windows open and replaced the hinges, he also gave us a quote replacing the misted up glass which was a lot cheaper than glazing companies. so we also got him to do that for us. Extremely happy with the work he did for us and will be recommending him to everyone in the area. Thanks James. Great service, rapid response very polite and professional. I got broken into, James came around, repaired the frame around my door and upgraded my security. I now use him for any problems I have on the house I rent out. Brilliant service.